Boost your energy and get ready for spring activities with the right fuel! 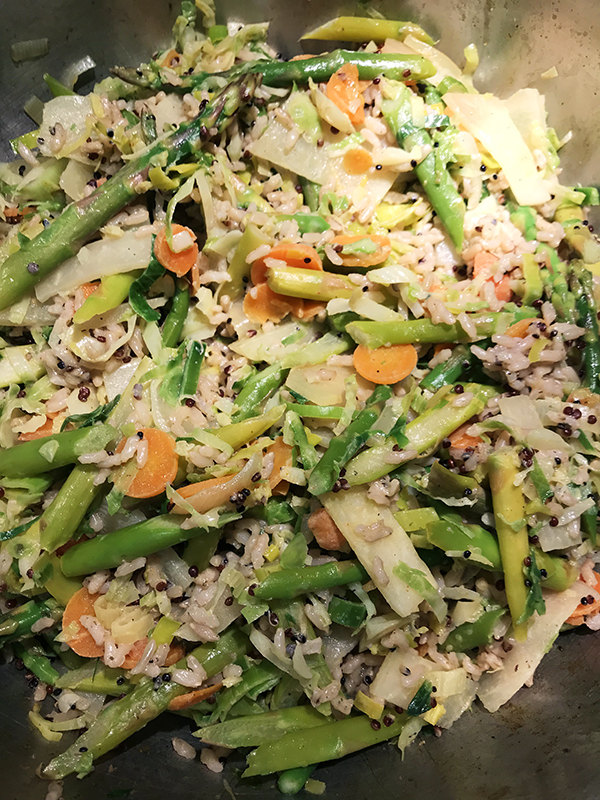 A mix of shaved Brussels sprouts, Green Asparagus, Baby Carrots, Kohlrabi, White Onion and Leaks tossed together and steamed al dente in a wok style pan with a lid, using some grapeseed oil to make the veggies sweat, then seasoned with yellow curry, paprika and a bit cayenne and little sea salt will definitely do it. Like to add some carbs? Choose a quinoa and rice mix. Want to sin also? Add a quarter cup Half & Half or creme fraiche.